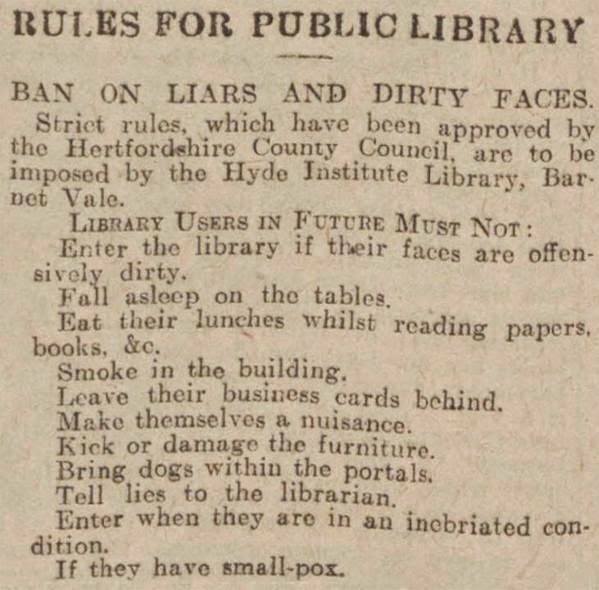 (sigh) The “Good Old Days.” If only these rules were still followed at the library nowadays. I mean, come on, I’m getting pretty tired of people with dirty faces and smallpox showing up in my library! Right? Especially when they sleep on the table!